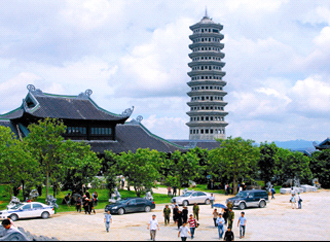 Bai Dinh pagoda is a complex of Buddhist temples on Bai Dinh Mountain in Gia Viễn District, Ninh Bình Province, Vietnam. The compound consists of the original old temple and a newly created larger temple. It is considered the largest complex of Buddhist temples in Vietnam and has become a popular site for Buddhist pilgrimages from across Vietnam. 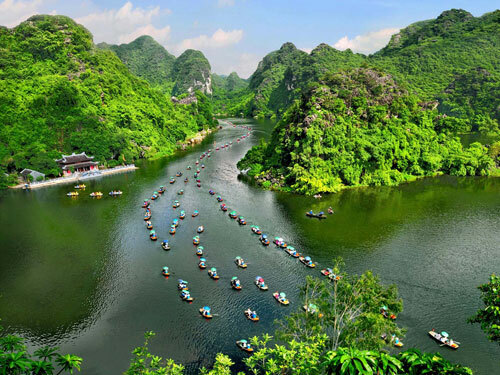 Trang An is an eco-tourism destinations is recognized as a world heritage in 2014 by UNESCO. 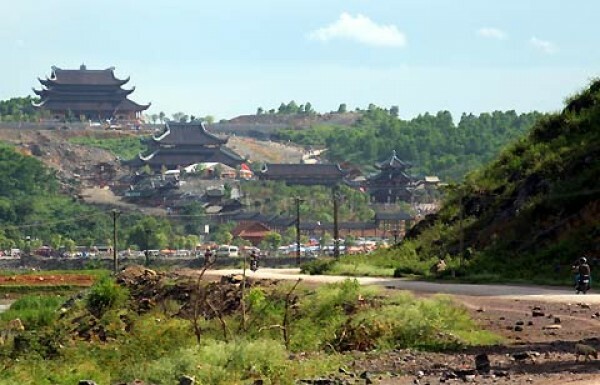 Trang An with the system old limestone mountains around 250 million years of geology, pass over a long period by the transformation of the earth, climate, marine transgression, marine degradation has created in hundreds of valleys, caves dynamic... 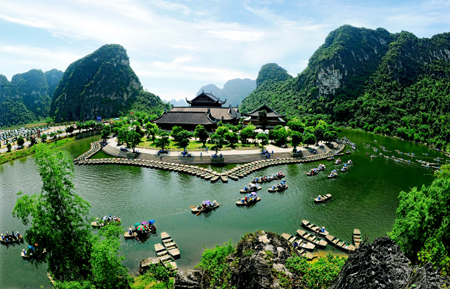 In this scenic, There are many wetland ecosystems, forest on limestone mountains and monuments linked to the history of the ancient capital of Hoa Lu. Price: USD 33/person (joining group tour). - Electric car (USD 3/person/2 ways).